Posted March 2, 2018 by Sabine & filed under Acupuncture, Diet, Digestion, Prevention, Tiredness. A recent research paper  reminded me of the importance of eating at the right time in the day. It turns out that research is showing that individuals who are eating most their calorie intake later on in the day are more likely to be more overweight than someone who eats more at the start of the day. Often, I see at the clinic people who skip breakfast, have a quick lunch at their desk and only have a ‘proper meal’ in the evening when they are back at home. It seems to be a quite common pattern for a lot of people. But Chinese Medicine reminds us of the importance of the timing of our meal on our overall health. Interestingly we find that old saying in many countries, from the UK to China in one form or another. It emphasises the fact that our bodies function in a cycle and that respecting these patterns helps the body run more efficiently. So here are a few tips to make the most of this rhythm. 1- Have a nutritious breakfast. In Chinese Medicine, the digestive system is the strongest between 7.00 am and 9.00 am. This makes it the ideal time to have a nutritious meal and set you up for the whole day. A 2004 study  showed that food eaten in the morning is also more satisfying so even more reasons to experiment around what to eat for breakfast. Even when you are at work. If you want to avoid the ‘I’ll just grab a sandwich at the work canteen’ syndrome, this is probably will need the most preparation beforehand. I find that having some frozen left over, in single portions, great for that. Otherwise, planning ahead what you will have for lunch allows you to have what you need in the house and maybe do a bit of preparation the night before. 3- Your evening meal should be the lightest of the day. 4- Leave at least 3 hours between your last meal and going to bed. For the same reasons mentioned above, this will leave enough time for the body to really start digesting your last meal, reducing all the negative effects of eating too much too late. 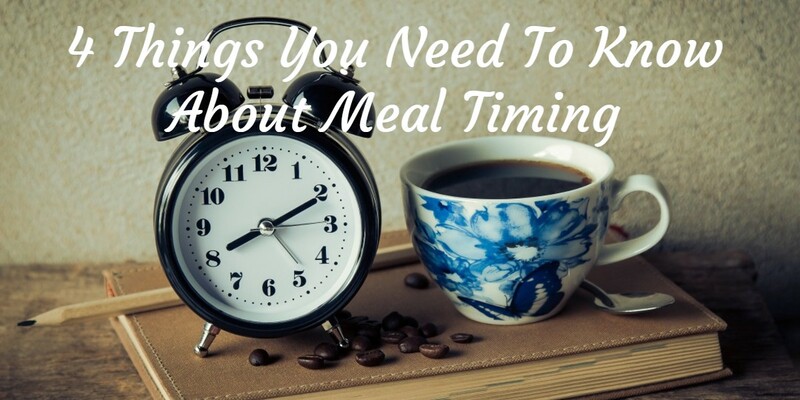 What are your thoughts on meal timing and how would you feel about trying some of these tips?